The current economic uncertainty is nothing compared to the financial crisis of 10 years ago. Then, not many companies or consumers were considering the potential of artificial intelligence. In fact, AI was still somewhat seen as science fiction. As an AI company that endured that economic uncertainty, Primal has a unique perspective on how to motivate your work force to innovate to strengthen your business and the Canadian economy, independent of the global environment. While no business can claim immunity from the challenges economic uncertainty brings, we believe there are a few strategies that can enable a business to innovate during these periods. The most important is establishing a compelling vision for what unique business problems your company is attempting to solve. The intellectual challenge of accomplishing something no one else has done before will motivate employees. Businesses must have conviction about achieving your mission, no matter the external factors that may threaten to take you off-course, be it trade headwinds or the latest buzz-worthy AI tool. We didn’t begin 12 years ago with a vision of being an AI company. 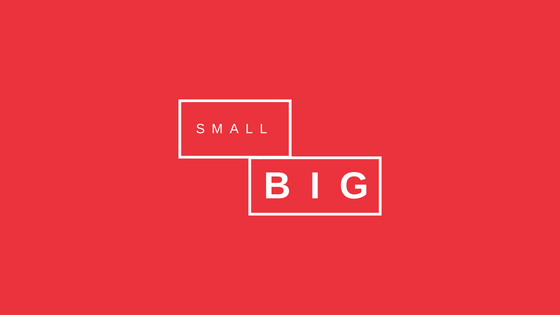 We were focused on a specific problem – how to use technology to find meaning contained within small data. This involved complex data science and research that had never been focused on before. 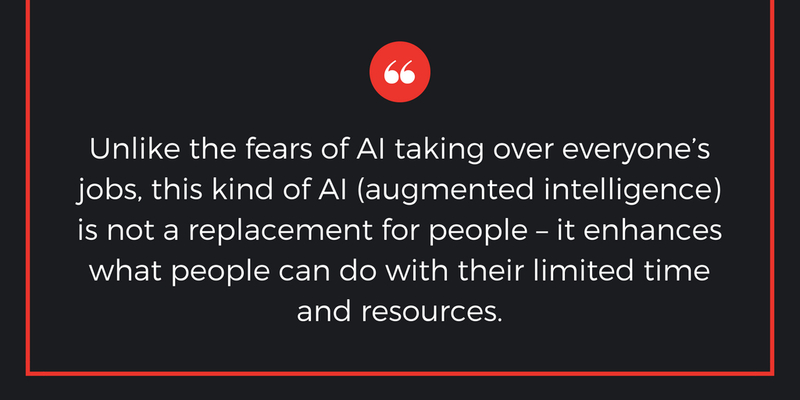 We had a strong nucleus of innovators that stayed true to this vision, and several years ago, it became clear that the emerging AI market was shifting toward us. That validated our mission and made us more focused. Solving a major AI problem is like landing on the moon. There’s lots of risk, but incredible payoff in being the first one to do it. While some larger companies may provide financial incentives for patent discovery to encourage the discipline of protecting intellectual property (IP), the unique problem that our company was focused on was more than enough to keep our work force passionate about finding the solution. To stay true to your mission, you can’t be a trend-chaser; you need to be thoughtful about integrating new technologies into your business. At a recent conference I attended, a panelist made reference to companies “sprinkling some AI on that” as a strategy − and although it was said in jest, sadly too often this is true (and not just with AI). 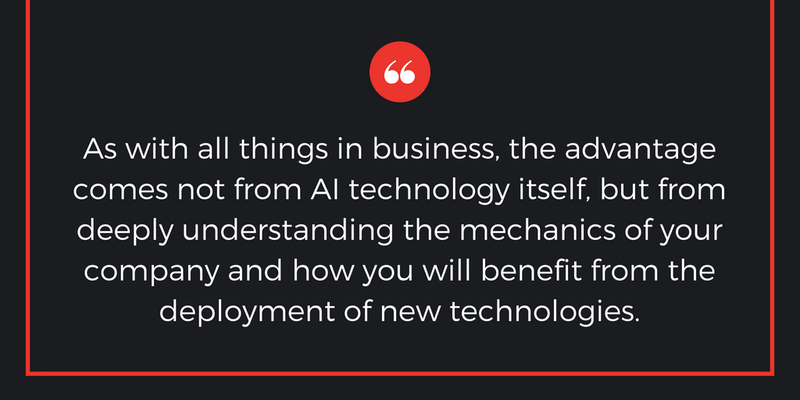 As with all things in business, the advantage comes not from AI technology itself, but from deeply understanding the mechanics of your company and how you will benefit from the deployment of new technologies. For some companies, AI may fit best within their customer-service function − but that doesn’t mean you should just add chatbots to your website. We’re working on a case where AI acts as a virtual assistant, monitoring a chat between a customer and a service agent and suggesting highly relevant resources in real-time to the service agent as new questions arise. This allows the agent to remain empathic and engaged in the conversation, rather than furiously searching a knowledge base for prescriptive answers that may be hit or miss. Unlike revenue, IP is an asset that is less impacted by short-term economic fluctuations and can help buffer your business to withstand times of economic uncertainty. Primal has 148 international patents, but as we built our company, we didn’t motivate our employees by setting a patent goal to achieve. We established a mindset of evaluating each new aspect of a solution to determine if the idea was new, core to our technology and worth protecting. If so, we patented it, and this led to an extensive portfolio. By protecting IP, it bolstered employee conviction that we were onto something noteworthy and solidified their commitment to the vision. One of the strengths of Canada’s economy is the fact that we have so many innovative homegrown AI companies. As the global AI race speeds up in parallel to increasing economic uncertainty, the need to keep this valuable IP protected is imperative. Unfortunately, protecting IP is an area where Canada lags globally. 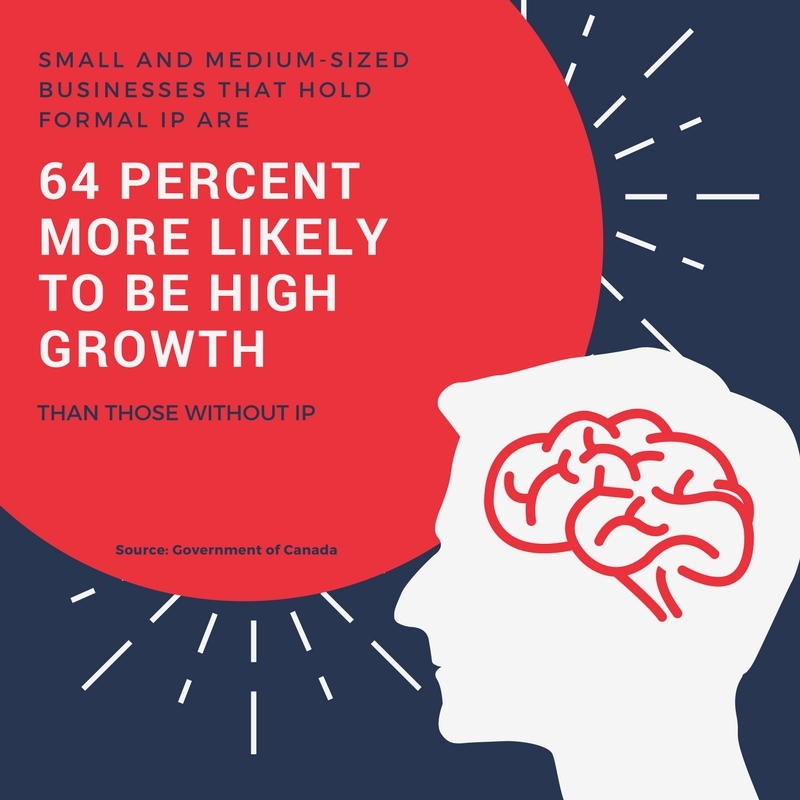 Only 10 per cent of small and medium-sized businesses in Canada have IP, and only 9 per cent have IP strategies. The Canadian government is helping reverse this trend with its new national IP strategy, which supports local innovators through increased resources and legislation. But it’s Canadian companies ourselves who need to see the value in protecting IP − to keep our employees motivated and validate their innovations, to protect our businesses’ hard-won knowledge and to keep strong companies growing and thriving in the Canadian economy. Waterloo Region, September 29, 1993. It’s early morning when local entrepreneur Yvan Couture begins pitching an idea to a crowd gathered at the University of Waterloo’s William G. Davis Centre for the monthly meeting of the Computer Technology Network. Couture, then founder, President and CEO of Taaz Corporation, a consulting firm serving the tech community in southwestern Ontario, is jazzed about the growth opportunities he’d seen industry associations provide to techies in places like Ottawa and Raleigh, North Carolina – peer-to-peer training, mentoring, conferences – and has built out a similar plan for Waterloo with the help of Ruth Songhurst, then president of Mortice Kern Systems (MKS), a local software firm. The roomful of entrepreneurs is more interested in the free doughnuts and coffee than anything Couture has to say. Have we reached the breaking point? Has our collective exhaustion with social media — the incessant notifications, the oppressive filter bubbles, the outright denial of our individuality — finally exhausted the excuses, apologies, and band-aid fixes? Here’s the #ElephantInTheRoom: The social graph is a terrible basis for matching people to information. This is probably not a message that will be welcomed by the corporate giants and countless ventures that are banking on the social graph, but it’s an argument that’s long overdue. The social graph must die. To be clear, the social graph is not social media. The former is the model or representation of the relationships between people. It’s the foundation upon which social media services match people to information. And in this capacity, the social graph is irredeemable. Thomson Reuters and the University of Waterloo are joining forces to fuel breakthroughs in data science and develop the next generation of global entrepreneurial leaders. The wide-ranging collaboration is valued at over CAD $20 million over the next five years. Their collaboration includes the establishment of the Thomson Reuters-funded Research Chair in Data Cleaning from Theory to Practice. The chair is initially held by Professor Ihab F. Ilyas from the Cheriton School of Computer Science at the University of Waterloo, whose research is investigating new methods for storing, cleaning, and curating data. 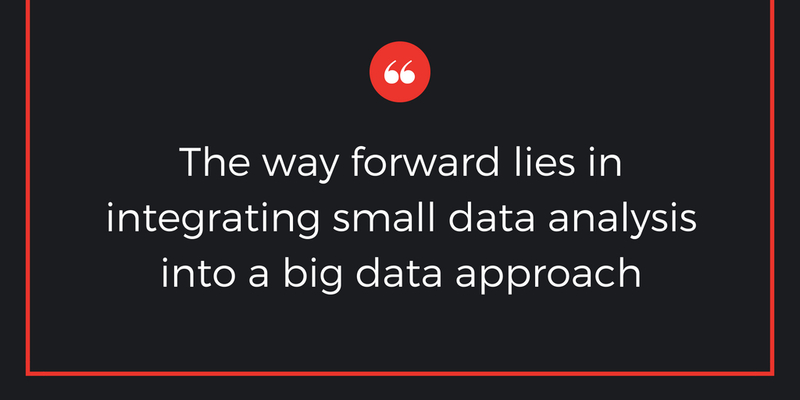 In this role, Professor Ilyas will continue focusing on integrating and curating data in an effort to overcome the problem of data silos, and help businesses make better use of their data. Primal is the maker of a web-scale network of personal intelligent assistants for content discovery. Primal uses Bing Search APIs in the Azure Marketplace to deliver highly personal content at web scale. The Bing knowledge and intelligence ecosystem complements Primal’s internal AI development. Primal’s AI formulates highly specific queries across any domain, and Bing Search APIs retrieve highly relevant content that satisfies its customers’ unique interests. “Primal’s patented AI provides a comprehensive understanding of consumer interests. Bing Search APIs give us comparable reach with our content supply. Together, Primal and Microsoft Azure deliver personalized content at web scale,” said Peter Sweeney, Founder & CSO, Primal. To learn more about how easy it is to add Primal’s personalized content discovery to your apps, download the datasheet and the mini-case study. To start exploring your own Primal-powered solution, check out our Developers site. The Semantic Web provides an enticing vision of our online future. This next-generation Web will enable intelligent computer assistants to work autonomously on our behalf: scheduling our appointments, doing our shopping, finding the information we need, and connecting us with like-minded individuals. Unfortunately, the Semantic Web is also a vision that, to some, seems very distant, perhaps even outdated. It has been over a decade since it was popularized in a May 2001 article in Scientific American. Semantic Web researchers and engineers have been toiling even longer on the monumental technical and sociological challenges inherent in creating a global Semantic Web. The good news is that we are seeing evidence today of its accelerating emergence. A single-character change in how tweets are distributed highlights a massive strategic decision for Twitter. When I first started using Twitter, I’d start my tweets with the names of other users. I wanted to give them credit for their ideas. I later discovered very few people even saw my tweets because of how they were composed. It was frustrating (and a little embarrassing) to learn I didn’t know how to use the service.